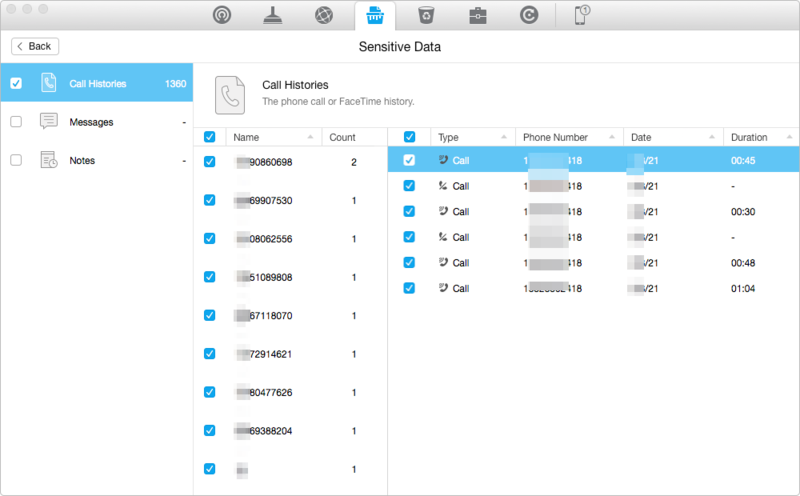 Want to delete particular call histories at a time? PhoneClean is the best solution for you! Download PhoneClean Now and you'll see how helpful it is for you to make your phone clean with reading this How to Clear Call History on iPhone guide. Call history shows who we are contacting with. This turns out to be quite helpful when there are missed calls. But they show the communication you intend to hide as well. So you may in a need to delete some sensitive traits and meanwhile keep some important ones. But how to delete particular histories without removing those you want to keep in reserve since iPhone does not allow several optional deleting at the same time. If you delete those histories one by one, the repeated processing is monotonous and time-taking. What's more you are very likely to delete the reserved ones carelessly because of the dull repetition. But now, you are no longer troubled by such matters, PhoneClean is a reliable assistant to help you to clear these specific items. It is very quick and easy to handle. Step 1. Install PhoneClean on your computer, and connect your iPhone. 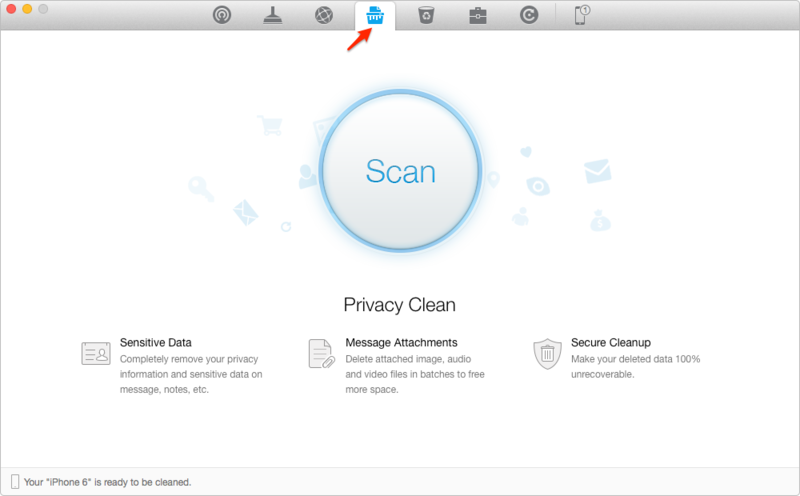 Select Privacy Clean, and click the Scan button. It takes a while to finish the scanning. Step 2. 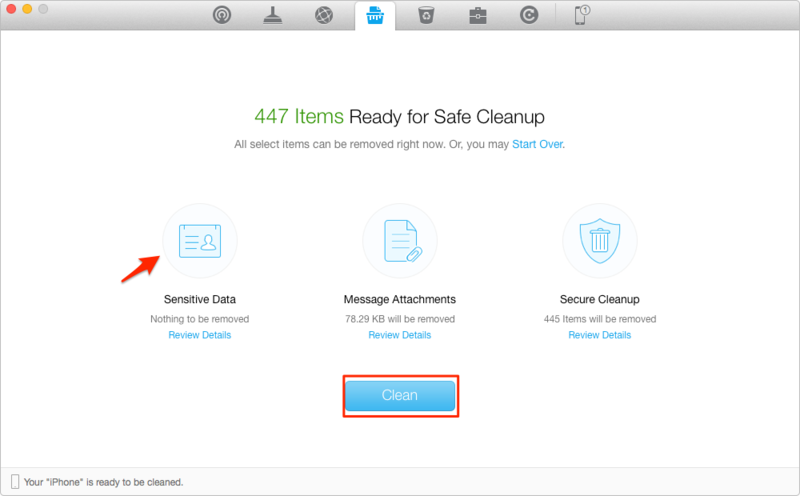 After it is done, double click the Sensitive Data option or click Review Details to view the call history you want to remove. Step 3. Click the back button on the right hand corner, and click Clean to delete call history on iPhone. Hope you like this solution and share this tool with your friends.